Key Difference: In context to patent laws, filing date refers to the date on which the complete application requesting a patent is lodged. Priority date is the date which is used as a reference for checking the novelty of the invention. Filing Date and priority date are two important terms used in context to patent laws. Many people use filing and priority date interchangeably. They both are different from each other. Filing date refers to the date when a patent application is filed at a patent office for the first time. Priority date is also referred to known as the actual filing date. It refers to that filing date used for establishing the novelty of a practical invention. It is used for determining the novelty of the invention and therefore it is very important in patent procedures. 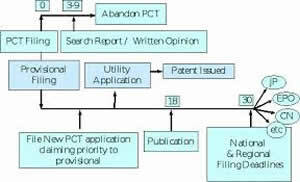 The filing date is the date when the complete application for patent is lodged. The term of protection is calculated from this date. If the patent is granted than one gets the exclusive rights from using the invention from this particular date. On the other hand, priority date is the date from which the exclusiveness and inventiness of the application is considered. The work from world is compared and checked against it using the information available prior to that particular priority date. If the priority claim is valid, then the first date of filing will be considered as the priority date. One should claim priority on the first filed application as otherwise the subject matter related to the first filing will not be considered if someone else publishes the same invention and validates it. For example – Joe filed a provision application on 2012, Mar 3. After one year, on 2013, Mar 3, he claims priority on his previous date. Then, in real sense, the date of filing a regular application will be considered as the filing date which is 2013, Mar 3. However, his priority date will be considered the first one which is 2012, Mar 3. It will give him the advantage of having an early priority date as anyone filing the patent for the same invention will not be considered after this time, if the other factors have been verified. The World Intellectual Property Organisation (WIPO) is the specialised agency which coordinates and manages international treaties regarding intellectual property rights. It has 184 member states , which take part in WIPO for issues like patents, copyrights and trademarks. Date on which a patent application is filed at the patent office firstly. It is the earliest claimable filing date for an application.